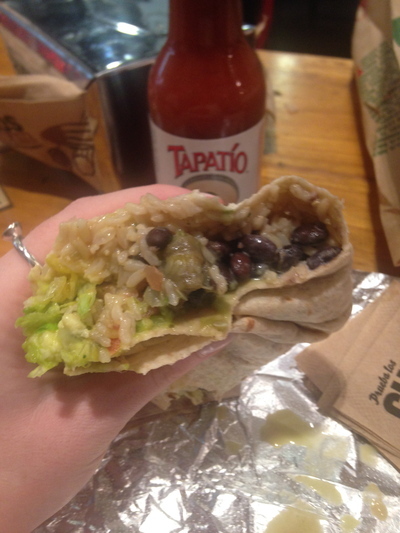 Diving into a delicious, large burrito. Mad Max opened up in Westfield Sydney on the Sydney Central Plaza side back in late 2013. Although not the authentic Mexican fare, you have to give them points for trying. Little did I know that I would become addicted to their burritos on wheat free bread over the last week, as at the time of writing this. 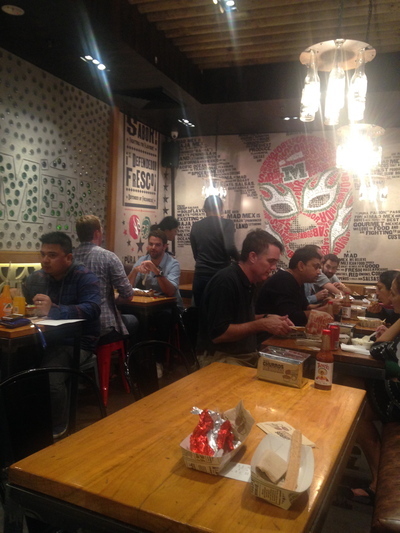 If you've unnoticed a deluge of Mexican food places opening up in Sydney within the last twelve months, you must have been elsewhere, or you despise Mexican food altogether. The dining area. Busy, busy. Although busy, and although a fast food joint, I'd have to say that Mad Mex in the city is my fast food establishment of choice. When the hunger pains strike, I know fast and efficient service is enjoyed here. The food court area at Westfield Sydney (Sydney Central Plaza end) is mayhem during the week with an abundance of city workers having their lunch, and you've hit the jackpot if long queues come to mind. 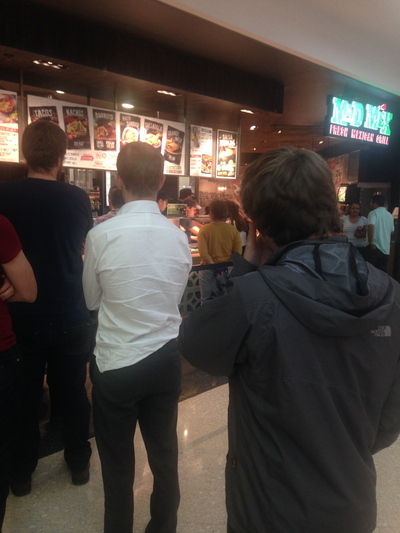 With Mad Mex on the other hand, sure there is a queue, however, the wait to be served and to be fed is minimal. 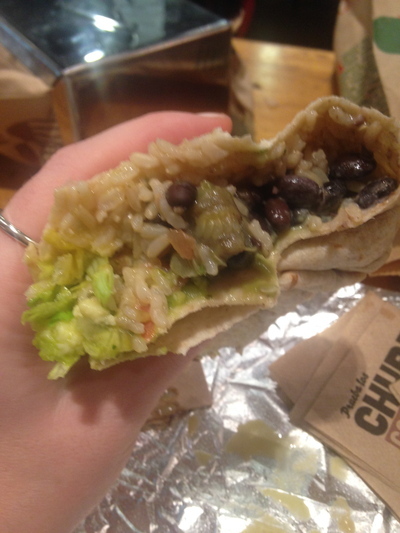 Delicious fillings, including the guacamole. Last Thursday I was in a hurry to my 1:30pm shiatsu appointment, and I tried the large burrito ($10.90) with beans, rice, chorizo and vegetables. I was full and never needed anything else until dinner time. No grumbles in shiatsu, and I did not feel heavy or bloated at the end either. The long queue, yet you're served rather quickly. The next day, lunch time strikes and I go for the same. Love the beans...they're hearty and full of protein goodness. They gave me guacamole instead of chorizo. I did not mind as I love guacamole. 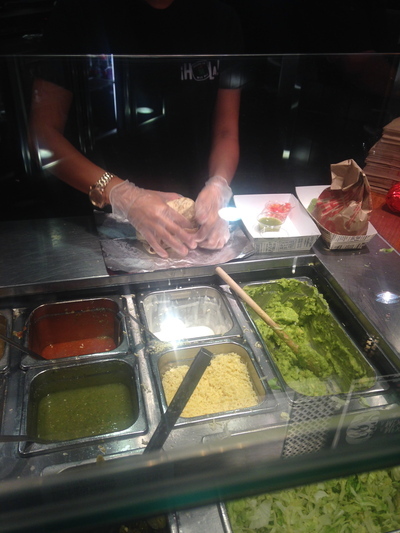 Theirs has that home made feel, and normally they charge $1 extra for this avocado paradise. The rice is brown. There could be a little less rice, yet the rice and beans blend in nicely with the spicy chorizo, diced tomatoes, cheese and sour cream. In terms of the spicy sauce, I went for the mildest. 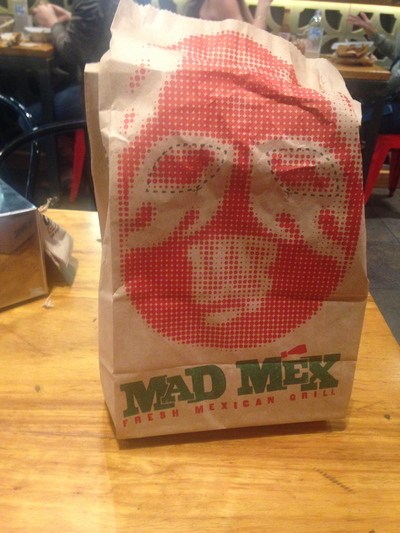 On this second occasion I visited Mad Mex, I chose to eat in. I was fortunate to nab a seat. About 10 minutes later someone else asked if they could sit next to me, and that was fine. He them mumbles to himself that this place is busy. The dining room could do with a good clean, yet their busyness is forgiven. Time to pay. You can also PayPass it here too. You can help yourself to some extra sauce for free. A Subway inspired factory line serves and assembles your food. During the two occasions I visited last Thursday and Friday, the staff were hard to understand. They had to repeat themselves a couple of times so I could understand what they were asking me. If they weren't so stressed, this would be unnecessary. Came here for lunch today (a Sunday, as at the time of writing this) and the pace was more relaxed. I could actually hear what the staff were asking me. 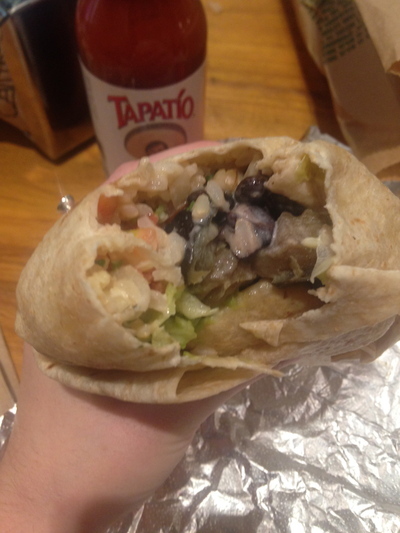 I went for a small burrito ($8.90) with the same toppings. The small did hit the spot, yet for awesome value, I'd recommend the large burritos. They also serve tacos and nachos here too. The ultimate place to enjoy a healthy and hearty burrito in the city, in order to settle that rumbling tummy once and for all. 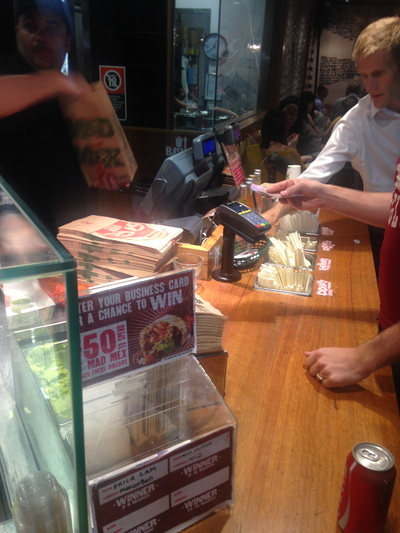 Where: Westfield Sydney food court (Sydney Central Plaza side) Pitt Street Sydney NSW. Why: Healthy and hearty burritos with vegetarian and chorizo fillings. Cost: $8.90 for a small, $10.90 for a large. When: Lunchtime. Better on weekends. Why Use Wooden Chopping Boards?